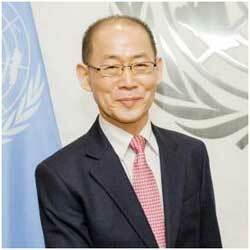 Lee Hoesung was appointed Chair of the Intergovernmental Panel on Climate Change (IPCC) in 2015. He is also the Endowed Chair Professor of economics of climate change, energy and sustainable development in the Republic of Korea*. It is affecting biodiversity and making it harder for species to survive or forcing them to move. These are already affecting people’s lives and livelihoods.